When you need rapid web or mobile application development to serve your business goals, you can always count on CodeIgniter. 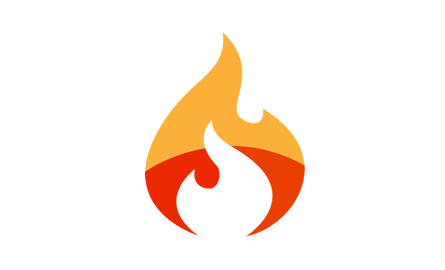 CodeIgniter, an open source PHP framework, has become the one of the chief choices for web and mobile application development. This PHP-driven framework offers a wide range of plug-ins, libraries, modules, and other rich resources for complex procedures and purposes. With this article, we bring forward the information on how CodeIgniter benefits and streamlines the web and mobile application development process. CodeIgniter is extremely lightweight and highly efficient. With independent modules supporting the Model View Controller structure, CodeIgniter makes web and mobile applications secure, fast, and reusable. The most important factor that makes CodeIgniter one of the best PHP frameworks is its amazingly fast execution time. The response time taken by PHP in the CodeIgniter framework is lesser than many other frameworks. CodeIgniter offers a range of features for a high-end security. The inbuilt CodeIgniter features can be used for output and input filtering. It also provides data encryption and decryption that enables the programmer to send data in a fully secret installation. The CodeIgniter PHP framework is one of the speedier PHP frameworks for web and mobile application development. CodeIgniter comes with a default installation of many libraries, so there is no need to look for third party libraries. CodeIgniter provides simple and user-friendly interfaces that are quite helpful in detecting and handling errors in the application. All the errors in the application appear on the screen just by writing one line of code, giving a quick way to spot and fix errors. You can easily test the functionalities and performance of the CodeIgniter web or mobile project from the initial stages. CodeIgniter PHP framework has a huge fan-following across the world. This helps you to get enormous amount of community support through forums and blogs. CodeIgniter is marvelous in many ways. The features and functions it carries makes the web and mobile application development process more proficient than ever. With our avant-garde approach and CodeIgniter development skills on board, we deliver unparalleled web and mobile application solutions to jump-start customers’ business. To know more, check out our CodeIgniter web application development services.